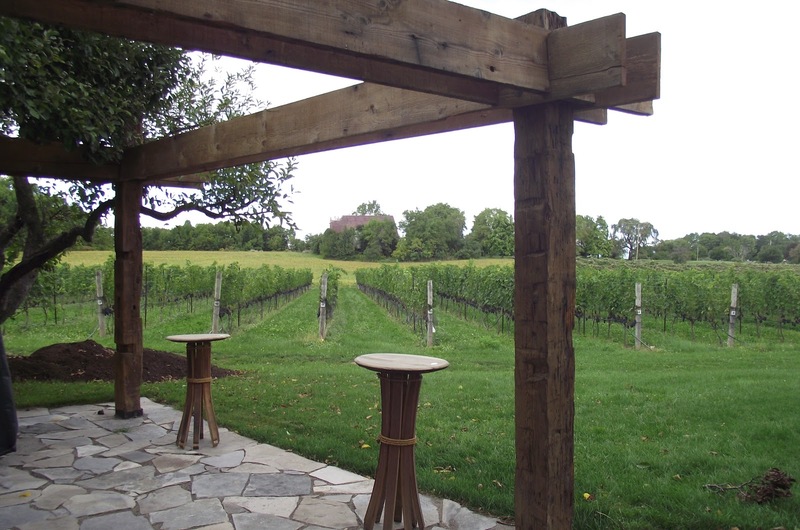 Another in our series of reports on Niagara, Ontario, wineries. Featherstone is known for their eco-friendly habits. 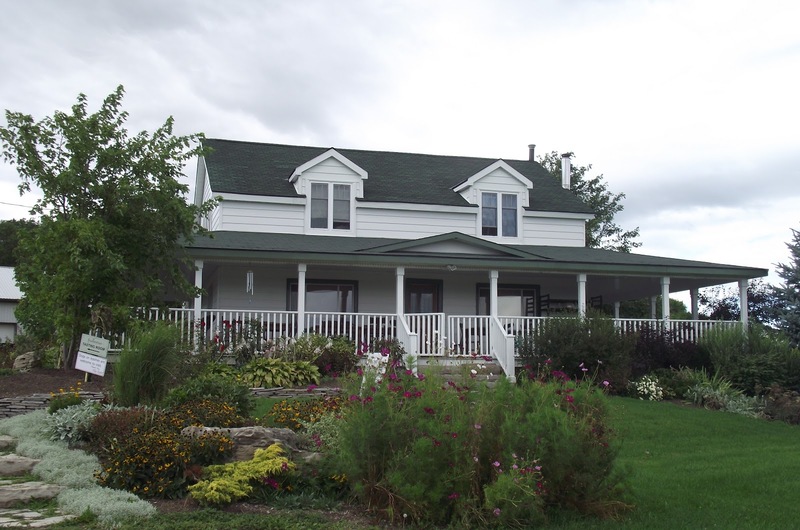 ﻿﻿ Featherstone Winery & Vineyard is an eco-friendly estate in the Twenty Mile Bench appellation in the Niagara Peninsula area of Ontario. The winery first came to my attention when they announced they would be doing a red-tailed hawk release at the property along with the release of one of their wines. We featured the story on the blog and there was a lot of interest in it. 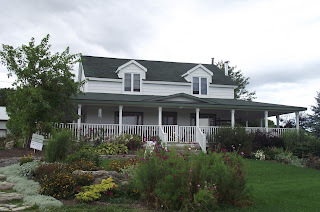 I wanted to be sure we visited Featherstone during our whirlwind tour of the Niagara area. 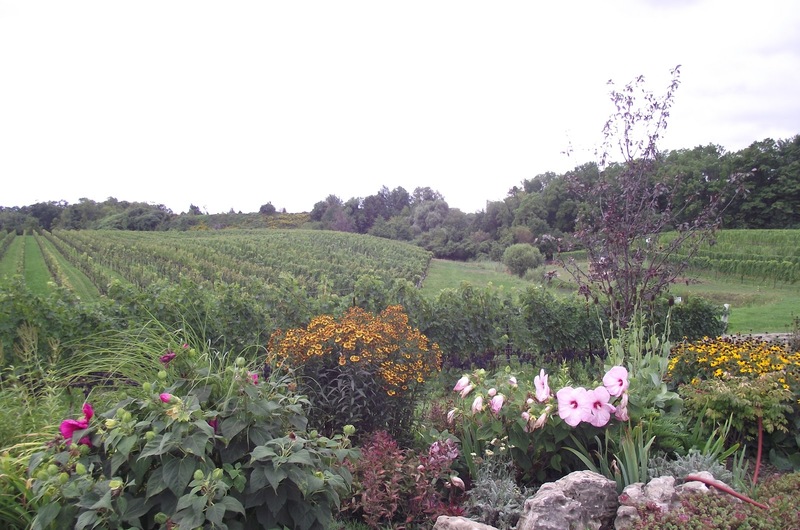 Another appealing aspect of the wine is that it controls its vineyard from soil to air. Flocks of birds and resident birds can cause damage to a crop, which can lead to other problems (insects and rot). To help control this, co-owner Louise Engel, a licensed falconer, flies a Harris Hawk in the vineyard. ﻿ We had a long day of travel from Ohio and were wrapping up an extended string of winery visits, causing us to arrive about 15 minutes before the tasting room closed. The grounds were beautiful with the focal point being the large white house with a spacious wrap around veranda that hosts meals and wine events. The tasting team scooted inside the compact tasting room bar. Unfortunately, the arrival of our group at the 11th hour didn’t light up the face of the tasting room attendant. Perhaps she had an important engagement elsewhere, but it seemed like we were more of an inconvenience than a welcome development. Nevertheless, we began sampling the goods. I started with the Estate Series 2007 Pinot Noir from the St. David’s Bench appellation. This was a light Pinot with mild tannins and a bit of tanginess. I rated it as OK, but not stellar. The 2008 Red Tailed Merlot was a bit better with a smooth and dry fruitiness. Also sampled was the 2009 Cabernet Franc. This had a bit of smokiness to it. The wines didn’t seem inspired, but we may have been suffering from palate fatigue and high expectations. 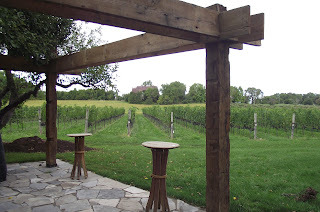 This was the last winery in the Niagara Escarpment area we planned to visit before travelling to Niagara Falls and then a visit to Niagara-on-the-Lake. The tasting room attendant was watching the clock and didn’t seem likely to pull out a special bottle and spin entertaining yarns, so we headed to our car. Featherstone is doing some interesting things. On this day we weren’t knocked out by the wines – but that could have been due to our later arrival and our long day. This is a unique winery we plan to visit again when we can spend more time.